What does the Shulkin ouster mean for expansion of VA Choice? Veterans' healthcare, the sprawling, expensive system within the nation's sprawling, expensive system, is complicated and appears to be getting more so. 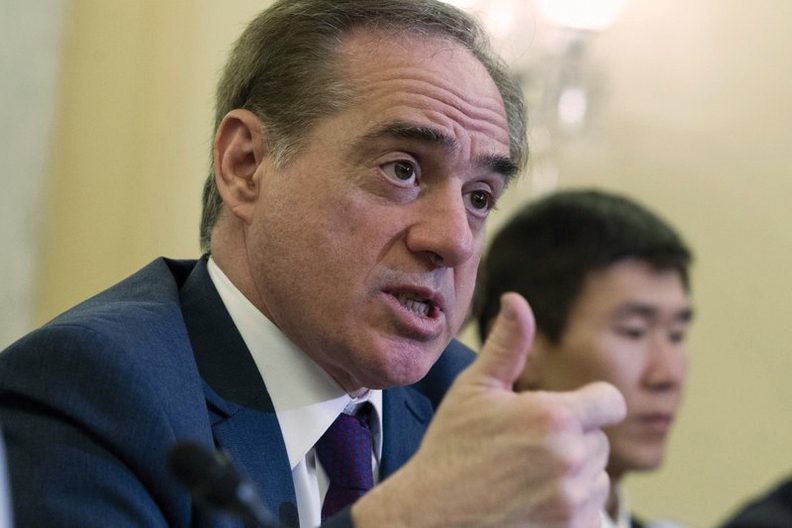 The sudden Twitter firing of Veterans Affairs Secretary Dr. David Shulkin reignited the politics around VA Choice—even as lawmakers and stakeholders said they hope the leadership shakeup won't further stall long-awaited expansion of the program. One day after President Donald Trump fired Shulkin and nominated the president's personal physician, Dr. Ronny Jackson, to replace him, discussions about the best way forward with VA Choice picked up again, a White House aide said. One Shulkin critic seized the opportunity to say the former secretary had become a distraction from advancing legislation. A Democratic aide, however, said the latest draft bill for VA Choice, blocked last week by House Democrats, likely won't make it on the legislative calendar. There is also the issue of more than 1,200 VA medical facilities that range from big campuses to small outpatient sites, including never-used and hardly used buildings. Should the government shutter some of these sites, or more efficiently merge public and private systems? And how much of a finite pot of money should be diverted from the VA's own system for the private system? These questions frustrated Shulkin, the former CEO of Beth Israel Medical Center in New York. Those problems would shift to Jackson—who has little management experience and would face some VA staff members who had been openly defiant of Shulkin. Jackson's appointment will need Senate confirmation; in the interim, Undersecretary of Defense Robert Wilkie will serve in the post. So Shulkin's firing leaves an immediate vacuum in delicate negotiations that led to clashes within the administration and among lawmakers over the past few months. The latest partial deal on VA Choice reforms was struck by GOP and Democratic Senate Veterans' Affairs Committee lawmakers, House Veterans Affairs' Committee Republicans, the White House and the VA the weekend before Congress passed its $1.3 trillion omnibus spending plan. House Democrats, including Tim Walz of Minnesota, the ranking Democrat on the chamber's VA committee, uniformly opposed the bill. House Minority Leader Nancy Pelosi (D-Calif.) blocked it from getting included. The draft text of this compromise, obtained by Modern Healthcare and dated March 18, incorporates demands from the White House and Sen. Jerry Moran (R-Kan.), who was a linchpin in the privatization effort. The bill outlines access standards for VA clinics. 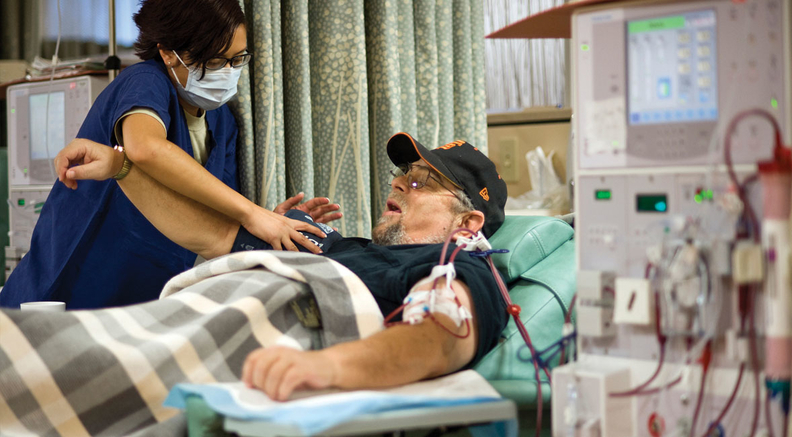 A VA clinic's failure to meet those standards for any veteran would trigger VA Choice eligibility for that patient, who could then seek care from a private provider. The provision was added in a White House and VA draft of the Senate legislation. The bill also adds a compromise for Democrats and other stakeholders to hold private providers accountable for the same access standards, a Democratic aide said. If private providers can't meet the standards, the VA secretary would have the discretion to end their contracts. But the language around those standards isn't as strong for the private providers as it is for the VA, because their failure to measure up wouldn't block them from working with veterans. The White House pushed back on making these same quality standards mandatory for community providers on the grounds that it was unworkable, according to a Democratic aide. This latest draft—as in previous versions—would streamline all the community care programs under Choice and allow veterans along with their physicians to decide whether to opt for a community provider over the VA. This theoretically opens up Choice for whoever wants a private physician or hospital. The bill also mandated prompt payment to providers—an issue Shulkin said was undermining private networks. For some stakeholders, this partial deal appeared to be the breakthrough that would make it into law. And they argue that it still could be, even with the potential disruption of the leadership shakeup. "We have had these discussions for four years," said Carlos Fuentes, who as legislative director for Veterans of Foreign Wars has been involved in the stakeholder discussions. "We know where the administration has been, and where Congress stands. We know where we want the program to go. We almost had the agreement, and there is a framework there for an agreement. We need to continue the momentum so that we can get this done." A Democratic aide shrugged off the idea that Shulkin's dismissal changes the already-testy Choice negotiations, indicating that for House Democrats at least, the bill on the table isn't acceptable. "House Democrats' concerns that the package would have dangerously moved closer to VA privatization are the same no matter who is serving as secretary," the aide said. Another Democratic staffer said the legislation makes an already complex system even more complex administratively, since it adds extra performance demands for VA clinics and myriad ways veterans could qualify for community care that could lead to confusion for patients and administrators. As stakeholders and lawmakers spoke out about Shulkin's dismissal, they also dug in their heels about the Choice program, signaling that the battle isn't over. "We are hopeful that this change will end the recent distractions at the VA and put the focus back on advancing policy that will ensure veterans get the healthcare and other benefits they have earned," said Dan Caldwell, executive director of Concerned Veterans for America—a group funded by conservative mega-donors Charles and David Koch that has lobbied hard on the Choice issue and had initially backed Moran's proposal. The latest draft legislation has his endorsement. "Congress is going to need to pass legislation that fixes Choice and community care programs," Caldwell told Modern Healthcare. "There are still hundreds of thousands of veterans needing medical care. We believe the legislative language that was going to be included in omnibus would have gone a long way to reduce access issues." But Pelosi came out swinging in her statement on Shulkin's ouster, blasting the recent effort on Choice as she called the secretary's dismissal "a troubling step in the Trump administration's ultimate goal of VA privatization." "From day one of this administration, the president has openly encouraged and embraced Koch brothers-led forces as they work around Congress and behind closed doors to dismantle veterans' healthcare," Pelosi said. Fuentes said though no side will get everything it wants, his advice to Congress from a veterans service organization is to keep promoting the draft. "When you're considering veterans who don't have access to care, you need certainty, and there is urgency," Fuentes said, noting that since September Congress has simply punted on authorizing the Choice program permanently by adding stopgap funding. The last batch of funding is projected to run out in June. "It's about getting together to mitigate any differences and chart the way forward." Fuentes added that VA matters traditionally have been bipartisan. "I hope that continues," he said. The top Democrat for the Senate VA Committee added his voice to the chorus of lawmakers asking to finish up a bill. "Moving forward, the VA needs a strong leader at the top who will listen to veterans, strengthen the VA, and work with Congress to implement bipartisan reforms," Sen. Jon Tester (D-Mont.) said. Yet as lawmakers and stakeholders jostle, one key item is missing from the debate: how the expanded role of private providers would actually work. On March 1, the RAND Corp. released a survey looking only at New York state healthcare providers and their readiness to accept veterans as patients. Researchers studied offerings of "culturally competent care" that take into consideration conditions and medical history common to veterans. Analysts said that of the 92% of New York providers accepting new patients, only 2.3% met all the researchers' designated criteria "for effectively serving the veteran population." That echoes concerns some in the provider community have expressed. More than 800,000 veterans, half of whom are under 65, live in New York. 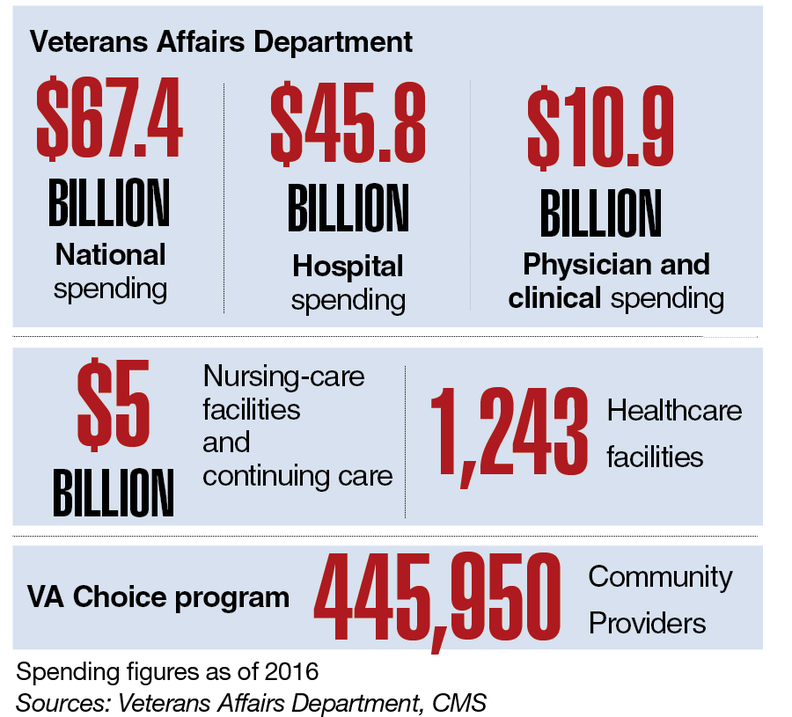 Nearly half of the VA's $6.3 billion annual expenses in the state is spent on healthcare. Fewer than 5% of the healthcare providers surveyed by the researchers said they were part of VA Community Care. Mental health professionals, a necessity for veterans dealing with traumatic issues, were the least likely to be enrolled in the program.